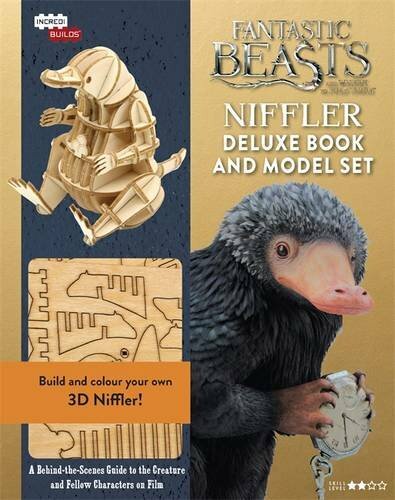 Kids can build their own customizable Niffler with this thrilling hardcover book and 3D wood model set from IncrediBuilds. This Fantastic Beasts and Where to Find Them–themed book and wood model set brings the world of the upcoming film to life. Filled with incredible illustrations and unit photography, the guidebook provides fascinating behind-the-scenes facts about the film and the creatures from the Warner Bros. archive and includes a do-it-yourself 3D wood model of the Niffler, one of the many magical creatures seen in the film. 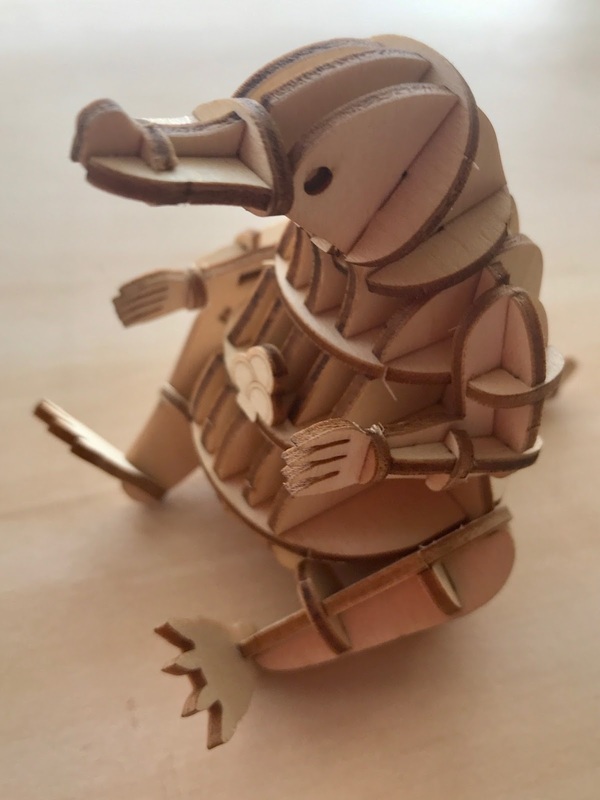 I really enjoy making these Incredibuild models and the Niffler one is adorable. They're pretty easy to make and come with clear instructions. My main advice would be to take your time popping the pieces out from the board they come on and only take each piece out as you're ready to attach it to the model (the parts are all numbered and the instructions make it very easy to tell which piece you need next). 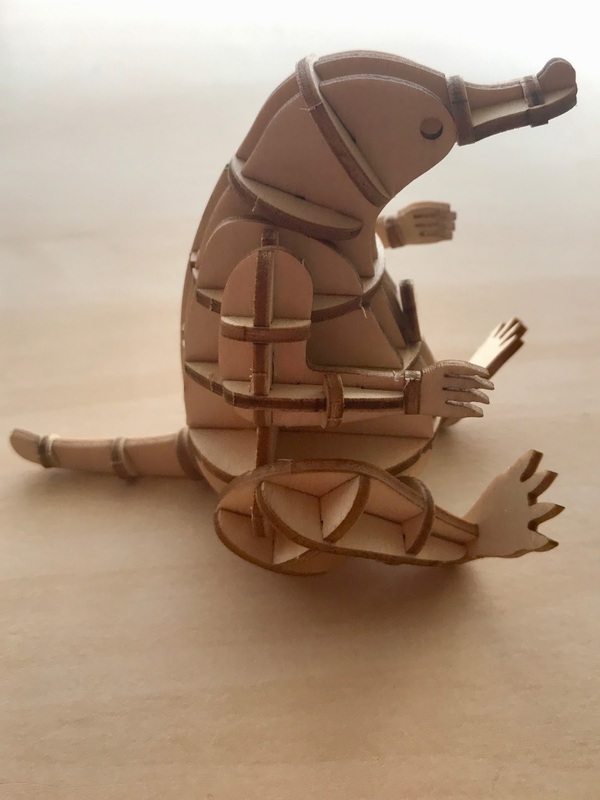 The other thing is to be careful slotting the pieces together, try not to force them because it wouldn't be too difficult to break the wood, just go slowly and you'll have a fab finished model in no time. If you'd like to paint your model it would probably be best to do that before putting the pieces together but I'm happy to leave mine undecorated. The book itself is only about 25 pages but it has a character profile for the main characters of Fantastic Beasts and some interesting snippets about some of the Beasts and how they used puppets to place the Niffler on screen to give the actors something to look at but then removed the pupped and added a digital Niffler in production afterwards. The models in this set all make great little decorations for your bookcase, they're fun and fairly easy to make and are sure to be a hit with any Harry Potter fans.